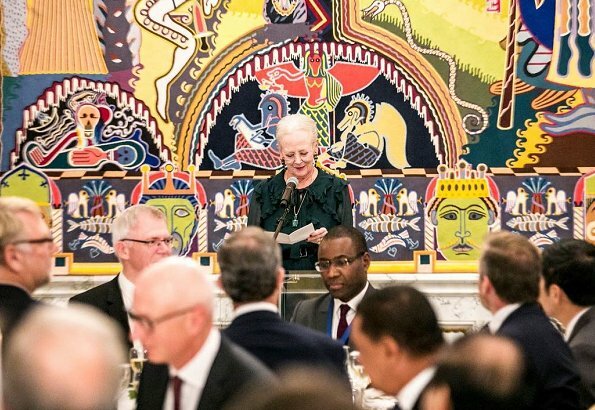 On October 19, 2018, Queen Margrethe of Denmark hosted a banquet at Christiansborg Palace on the occasion of the P4G Summit in Copenhagen. 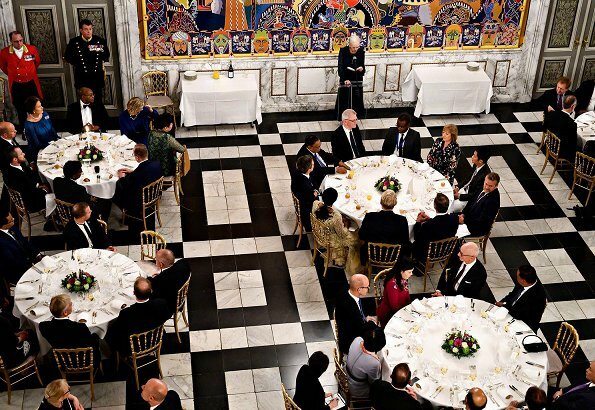 Crown Prince Frederik and Crown Princess Mary of Denmark as well as heads of state and government, ministers and leading businesspeople attended the banquet. 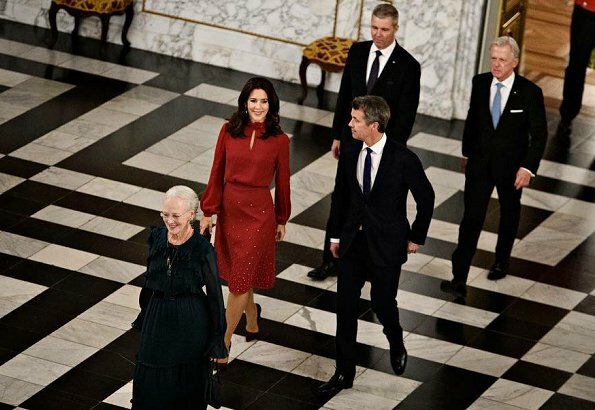 (Crown Prince Frederik and Crown Princess Mary will participate in the P4G Award Ceremony, which takes place in DR Koncerthuset on the summit’s second day, Saturday, 20 October 2018). Wonderful outfit for Mary. She looks fantastic! I agree! Mary is fantastic as usual! I love Mary's dress, so chic and well-fitting. 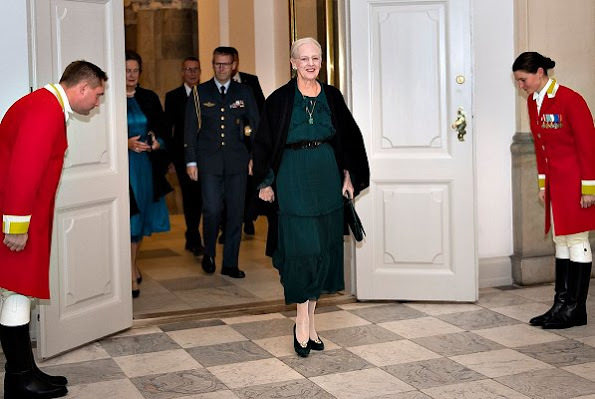 Q Margarethe looks splendid in this green dress and she seems to be happy/ Mary and Frederik are in great form as well nice magenta color outfit. She must have styled her hair different it looks full and healthy. Hope everyone had a good time. Mary's dress is nice, but I think her hair makes look her look older. I like her friendly face though. Queen look good in green. I just saw a tv-serie about Danish royal palaces. She was the guide and seems to be very down-to-earth, well educated and nice person. Love Mary's dress but the queen is also very well. Mary has darkened her hair and she looks great! I disagree with the commenter above, it does not make her look older. Red is a very good colour on her. Mary does look very good here. But I wonder if it's a dress or a skirt and blouse? It looks like separate pieces to me. The colour looks good on princess Mary. I wonder whether she’s wearing hair extensions, the hair does look fuller.